SPORTS played by Brits: Polo-Equestrian, Boxing, Squash etc. 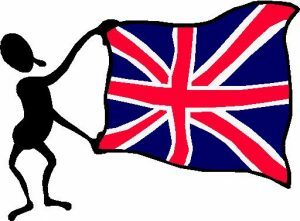 THIS PAGE IS DEVOTED TO SPORTS invented by and /or popular with British people and where you can find them in Florida: …Squash….Boxing….Croquet ….Netball…Tennis…Golf ….Lawn Bowls…equestrian…polo. [Rugby, Cricket, Soccer in Florida have their own pages on this website, q.v]. BRITAIN IS A NATION OF HORSE-LOVERS, HORSE-BREEDERS, HORSE-RACERS, POLO PLAYERS/FANS, INTERNATIONAL and OLYMPIC EQUESTRIAN CHAMPIONS. Equestrian shows abound in Florida, featuring many British participants of course, as riders, sponsors, announcers and organizers. Below are stables, places to ride horses, equestrian events and all things horsey in Florida ! POLO …..The sport of English princes. Enjoy the excitement of polo, one of the fastest games around. In Florida the season runs November to April. ► PALM BEACH INTERNATIONAL POLO CLUB in Wellington. See their website www.internationalpoloclub.com for a full slate of polo and social events. Or call their office  204-5687. This is the premier, swankiest polo venue in Florida, as much about champagne as polo and popular with the resident British community. I have been often as press and British event organiser/host. Our English princes have played there including Prince Harry in 2016. 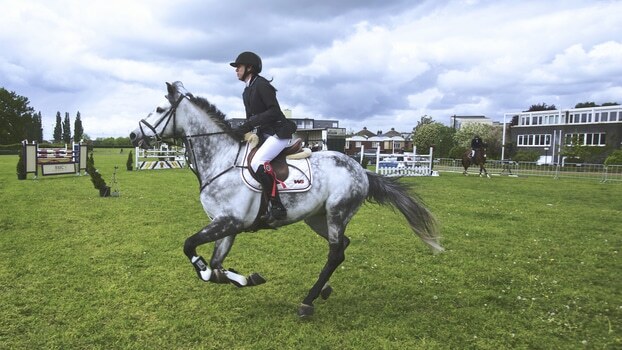 ►► FOR SHOW-JUMPING EVENTS in all parts of Florida —Our English riders are usually the winners!! —consult the website www.stadiumjumping.com. Or call their office on  753-3389 to be invited to events. ► FT. LAUDERDALE WEST a superb British facility in west Broward for all Brits who love horses. THE BRITISH BARN established 2004, for adults and children. English owner Alana Warden offers you horse riding facility with a riding arena, trail ride, summer camp for kids, grooming lessons, riding instruction, horse etiquette and all things horsey. FULL HORSE BOARDING IS AVAILABLE if you have your own horse or pony. PHONE:  252-5574 British Barn office. ► MIAMI [south] The Hunting Horn Stables  274-3133. Various horse-related activities including team-building and leadership training exercises for executives, using horses. ► PALM BEACH The Jim Brandon Equestrian Center in West Palm Beach. Horse shows, riding, training and more. Phone for info  966-7090. ► NOVEMBER in WELLINGTON. A horsey event attended by many local Brits each year. The annual Suncast Palm Beach Steeplechase is a fun-filled family day, with a Children’s Fair, a Petting Zoo, Sky Divers; Tailgate and Hat Contests; the popular Jack Russell terrier races; Wine and Beer Garden, a Vendor Village, the Wellington Chamber of Commerce Business Exposition and much more. Round up your British horse-lover pals and enjoy the thrill of Thoroughbred horses racing from your private table, tailgate or from the infield. INFO on www.palmbeachsteeplechase.com or call 561-793-5867 extension 120 and ask for British organiser Annette Goyette. ► BADMINTON CLUB FOR BRITS [adults and children] in Central Florida seeks new members. Meets in Kissimmee. ► CROQUET the quintessentially English pastime. There is an active croquet facility in Palm Beach, established since 2000. They have events, amateur and professional tournaments and social occasions. Contact the National Croquet Center www.croquetnational.com Tel. 655-7010. ► LAWN BOWLING—that very traditional English sport is played all over Florida and leagues exist with expat players. Call Christine Garbett on  775-2991 or email chrisgarbett12@gmail.com for a club near you. ► KARATE/MARTIAL ARTS British-owned and operated University Karate School in west Ft.Lauderdale is one of the top places in Florida. Run by World-champion Robert Mason from the UK, the school has been established since 1989. Tel. 587-5008 Ask for British owner Robert.